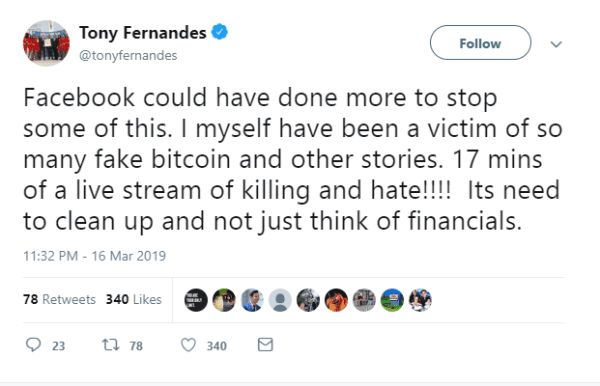 While Tony Fernandes admitted in the Twitter post that he is “a big fan" of social media, he had to think hard about whether to remain on the social platform after the live-streaming of the mass shooting in New Zealand. 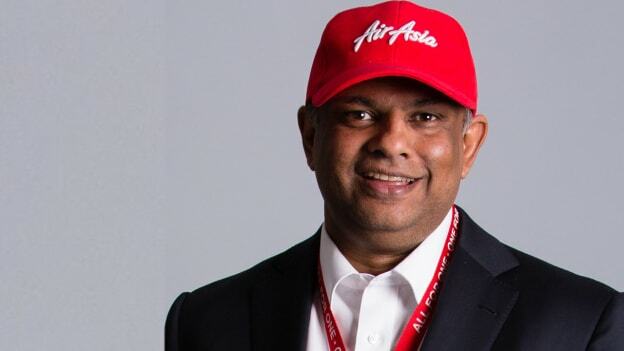 AirAsia Group Bhd Chief Executive Officer Tony Fernandes announced that he closed his Facebook account and may also shut his Twitter page, on account of the “hate" being transmitted on the networks. Tony added that his Facebook account had 670,000 followers. While he admitted in the Twitter post that he is “a big fan" of social media, he had to think hard about whether to remain on Facebook after the live-streaming of the mass shooting in New Zealand. While Facebook said it quickly removed the shooter's account and the video and was also removing praise or support for the shooting "as soon as we're aware”, the scandal is the latest in the list of scandals to hit Facebook in recent times. Last November, an ex-employee of Facebook has accused the company of having a 'black people problem’ in a publicly published note on the social networking site. While social media is a great tool for engagement be it for people or companies, over and over again, its misuse has raised serious concerns about how these platforms need to be more regulated to avoid any kind of discrimination or propaganda agenda.